Realtor Archives - Page 3 of 101 - Neighbors at War! Mr. Simmons, It Was Your Lucky Day! 6 Comments on Mr. Simmons, It Was Your Lucky Day! Here’s a veteran who has no clue how lucky he was when the VA loan he was planning to use to purchase a condo did not pan out. It’s a bit confusing, but it appears the Pheasant Run condo complex in Topeka, Kansas did not meet the criteria of the VA. 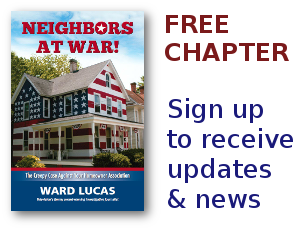 Somehow, it is being reported that the HOA turned down the purchase due to a VA loan. I’m not exactly sure what went ‘wrong’ but I know this is the best ‘wrong’ Mr. Simmons will ever have in his life.